This got me wondering: what would a haunted school camp be like? I ended up writing a short story about this, and in this story was an old school house. The idea of a haunted schoolhouse stuck with me, so although I never used the first short story, I recycled it into Prankster. 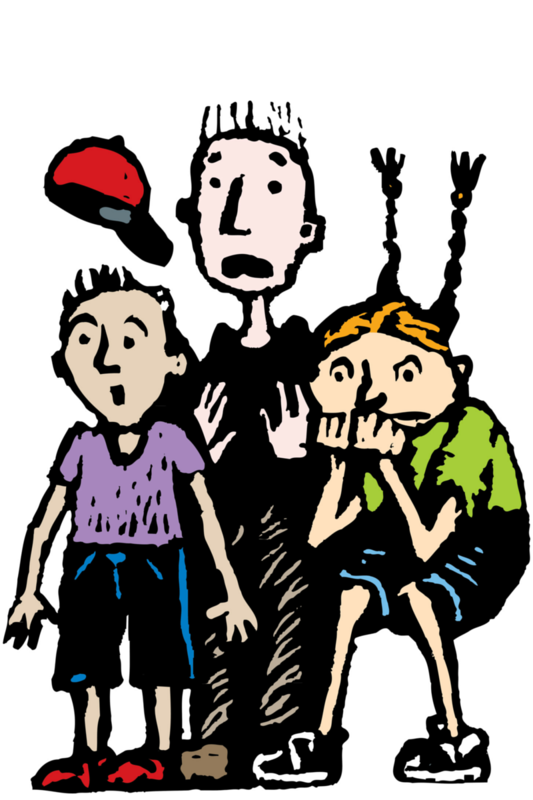 Are any of the characters in Prankster based on real people? Not really, although the inspector was strongly influenced by an old teacher of mine. In the olden days, when I was young, teachers were often scarey (unlike the lovely people they are today :)). So I suppose Prankster was a way of getting even with someone I used to find totally terrifying! Why did you write that Jamie came from Scotland? Why couldn’t he come from another country? There were three reasons why I chose Scotland. The first is because I live in Dunedin, which has a strong Scottish heritage. The second is because of a true story: my son was starting at a new school, and I went along with him for his first day. A boy in the class was really friendly, but unfortunately, neither of us could understand him, because his Scottish accent was so strong! The other kids had to translate for him! Which made me think about how isolating it can be to have no-one understand you. Parents move kids around the world – mostly without asking them first and this can be really hard on the kid, because they have to go to a new school, and perhaps no-one will understand you. I wanted to use these ideas in a story. The third and final reason for using Scotland was because of a (true) ghost story that a friend told me about Edinburgh Castle. You can read about it here. Do you speak with a Scottish accent? No! But my boss does (he’s from near Glasgow), so everything Jamie said I mentally imagined my boss saying first! I listened to Scottish podcasts and BBC radio too but they weren’t much use, because when the Scots really get going I find them almost impossible to understand! Which part of writing Prankster did you find the hardest? Chapter Twelve was definitely the hardest part to write. This is the scene in Jamie’s classroom. In this chapter the Ghosts start to write on the whiteboard, Milly vanishes into the iPad and Tayla realises that he can travel through the internet. The reason I found this scene so hard was because it has about eight characters in it, and they’re all talking at once! I ended up breaking the scene into little pieces, and each piece only having two or three people talking at one time. So there would be Becky talking to Tayla, then Tayla arguing with Milly and then Jamie talking to Tayla. This kept it a bit simpler! Roald Dahl worked a bit like that in Charlie and the Chocolate Factory, I think, and now I know why. If you want to see what it’s like to read a scene with lots of people in it, try and write one, and you’ll see exactly what I mean! How did you come up with all the practical jokes? Ghost Stories To Capture The Imagination. Spooky stories are thrilling, scary, but always safe – because the child knows that if they put the book down, they can just walk away. Wish life was like that! 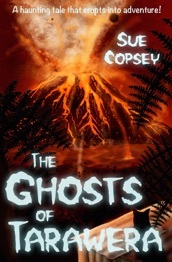 The Ghosts of Tarawera by Sue Copsey. 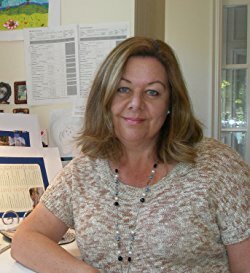 Quick name drop: Sue was my editor for Prankster. 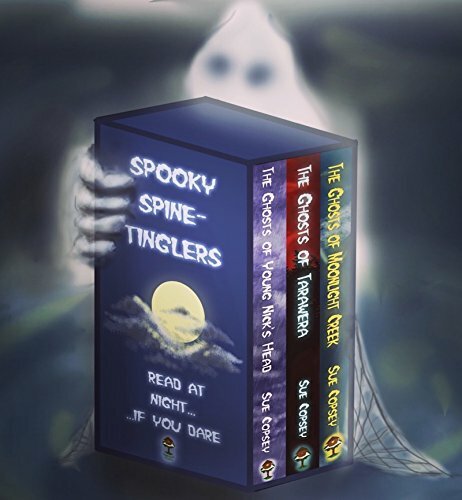 Sue’s writing a three-part series of spooky tales (this is the second in the series) so if your class enjoys this book, then don’t worry, there’s more! The Ghosts of Tarawera is a Storylines Notable Book, and is available from bookstores or directly from Sue, at her website: Suecopsey.com Sue also has a whole lot of spooky jokes on this website. 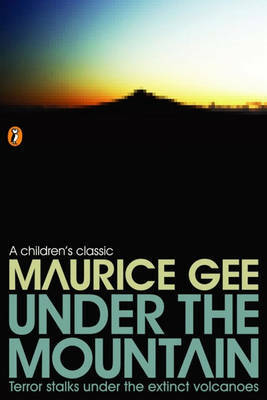 A well-known classic, Under the Mountain, is exciting to read aloud. There’s also a movie (which I didn’t like, but some people did), and Penguin have study notes available online here. 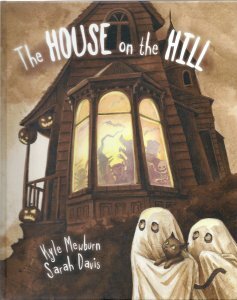 The House on the Hill is Kyle’s homage to Edgar Allen Poe and is written in rhyming stanzas, a little like The Raven. A natural performer, Kyle has a youtube channel which is great fun. Scholastic have produced some helpful teacher notes here. Image from Deposit Photos. Used under license. I’ve worked in hospitals all my working life and thirty years ago there were still many Victorian buildings. There were plenty of tales of figures in white, or unexplained drafts, or a feeling of clutching hands. These old hospitals were the spookiest places; they had long echoing corridors and high dusty ceilings. We didn’t like being called out at night in those wards! 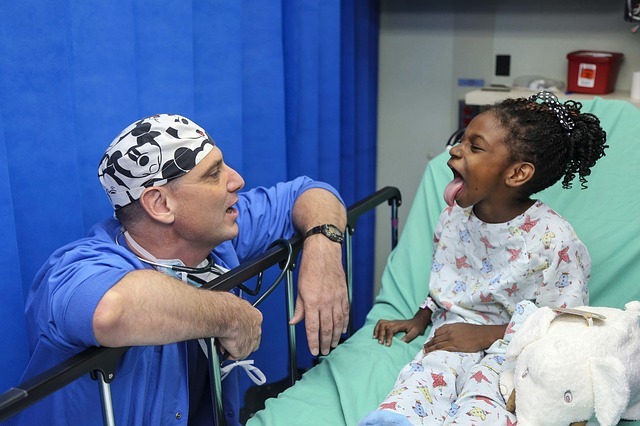 But even in modern facilities there are rooms with histories of unexplained figures being seen by patients, and there are still places where staff prefer not to go – especially at night, when the hospital is quiet. I’ve never heard a story of hospital ghosts being violent; it’s more like ghosts are part of the hospital, rather like the furniture. In Prankster, Tayla floats out of his body. This is based on something a patient told me – when he’d had a heart attack; he’d floated free his body. He had returned when he was resuscitated. He said it was quite peaceful, and that he’d had no fear or pain (until returning to his body. He didn’t like the resuscitation so much!) I took this idea a little further in Prankster, though – I thought a kid might find floating around intensive care kind of boring. Surely, a floating, invisible boy would do exactly what Tayla did – go straight for the computers! 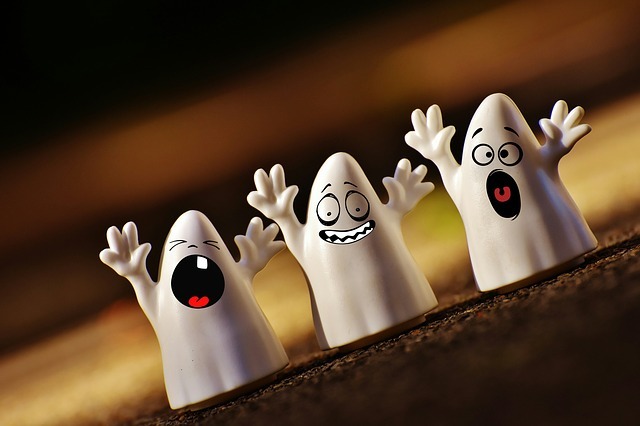 And now you’ve read this – do you believe in ghosts?